Obama To Rename Continent's Highest Peak From Mount McKinley To Denali : The Two-Way Efforts to change the mountain's name back to Denali date back to 1975. The White House says changing the name back "recognizes the sacred status of Denali to generations of Alaska Natives." President Obama is renaming Alaska's Mount McKinley in an effort to strengthen cooperation between the government and Alaska Native tribes. The peak is returning to its traditional name, Denali. The White House announced Sunday that President Obama is changing the name of North America's highest peak. Mount McKinley — named after William McKinley, the 25th president, who served in the White House until his assassination in 1901 — is returning to its traditional Alaska Native name, Denali. Obama will make a public announcement of the name change in Anchorage Monday, during a three-day visit to Alaska. "The mountain, which has been officially named after the 25th president of the United States since 1917, will now be recognized by the U.S. Board of Geographic [N]ames by its original Koyukon Athabascan name." "In 1896, a prospector emerged from exploring the mountains of central Alaska and received news that William McKinley had been nominated as a candidate for President of the United States. 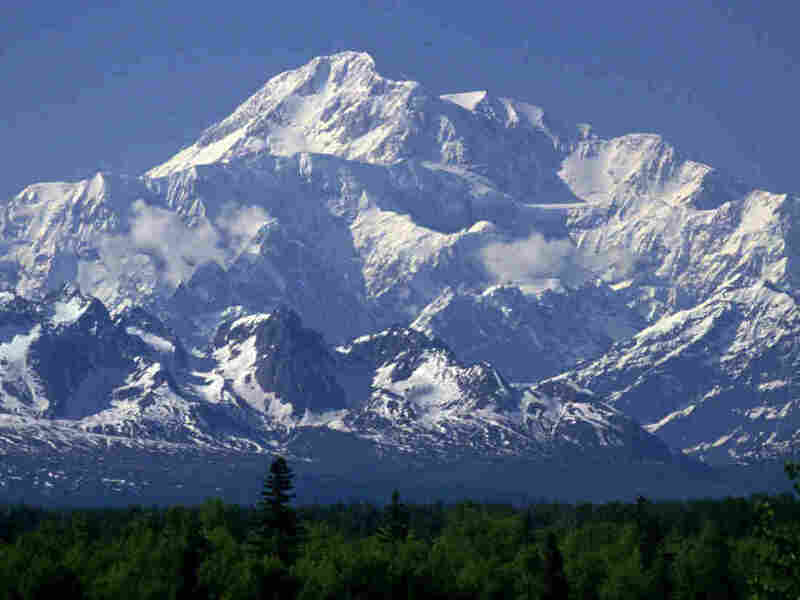 In a show of support, the prospector declared the tallest peak of the Alaska Range as "Mt. McKinley"—and the name stuck. "McKinley became our 25th President, and was tragically assassinated just six months into his second term. But he never set foot in Alaska—and for centuries, the mountain that rises some 20,000 feet above sea level, the tallest on the North American continent, had been known by another name—Denali. Generally believed to be central to the Athabascan creation story, Denali is a site of significant cultural importance to many Alaska Natives. The name "Denali" has been used for many years and is widely used across the state today." Efforts to change the peak's name back to Denali date back to 1975. The Washington Post reports that Sen. Lisa Murkowski (R-AK) recently added language in a spending bill that would reestablish the mountain's original name. The broader purpose of the of the president's trip to the nation's 49th state is to mount an aggressive call to action to fight climate change. The trip, which promises to utilize breath-taking backdrops, will shine light on melting glaciers and rising sea levels. "All week long, Obama will try to call attention to Alaska as a kind of climate change ground zero. Whether it's a hike on a melting glacier near the town of Seward or his visit with fisherman in the remote coastal village of Dillingham, the President wants a distracted public to see the jarring effects of global warming through his own eyes." The White House cited the authority of Interior Secretary Sally Jewell to change the name back to Denali. Jewell issued a secretarial order and signed it late last week.